You are curenlty in Perma-Type Plastic Hospital Tape, Pink, Waterproof, Flexible, Latex 2" X 5 Yds, 17" Long made by Perma-Type and asigned to category. most Widely Used Pink Tape For Ostomy Use Today. Medicated With Zinc Oxide, And Is Sheer-Plastic, Waterproof, Comfortable, Washable And Flexible. Each Roll Is Individually Wrapped. Item #81D1262 is no longer available. You have selected Perma-Type Plastic Hospital Tape, Pink, Waterproof, Flexible, Latex 2" X 5 Yds, 17" Long from Tape Products. 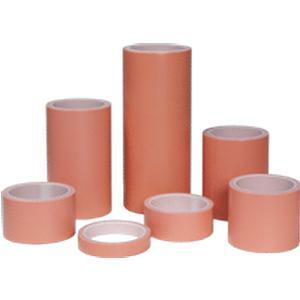 We hope that this Perma-Type Plastic Hospital Tape, Pink, Waterproof, Flexible, Latex 2" X 5 Yds, 17" Long made by Perma-Type is what you were looking for. If you have any questions about this particular Perma-Type Plastic Hospital Tape, Pink, Waterproof, Flexible, Latex 2" X 5 Yds, 17" Long or any other products from Tape Products, please call us. We have an experienced staff that will gladly help pick out the correct Perma-Type Plastic Hospital Tape, Pink, Waterproof, Flexible, Latex 2" X 5 Yds, 17" Long for you, also. If you are looking to make a purchase of Perma-Type Plastic Hospital Tape, Pink, Waterproof, Flexible, Latex 2" X 5 Yds, 17" Long in large quantity or you are a Hospital or Medical facility and need help on making a purchase of Perma-Type Plastic Hospital Tape, Pink, Waterproof, Flexible, Latex 2" X 5 Yds, 17" Long made by Perma-Type, please contact us.